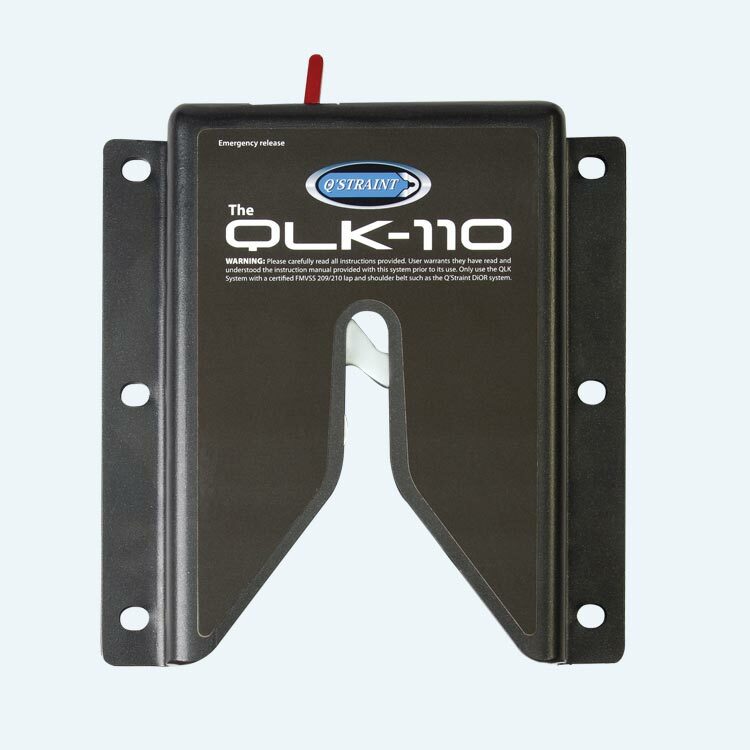 QLK-110 is a single point system engineered for reliability and based on the proven design of truck and trailer hitches which have been safely used for over half a century. 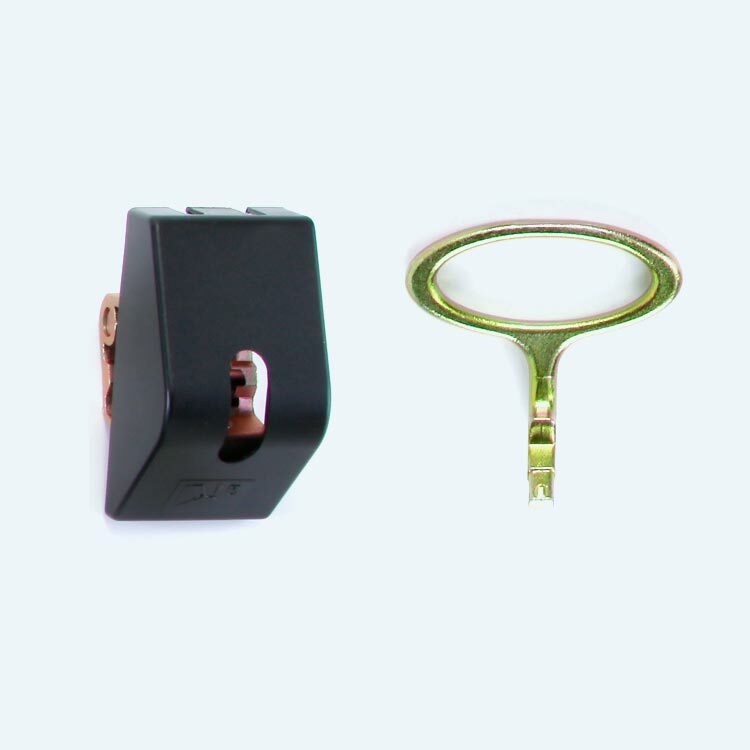 Constructed of high quality, heat treated, anti-corrosive metal. Clearly indicates when passenger is secure. 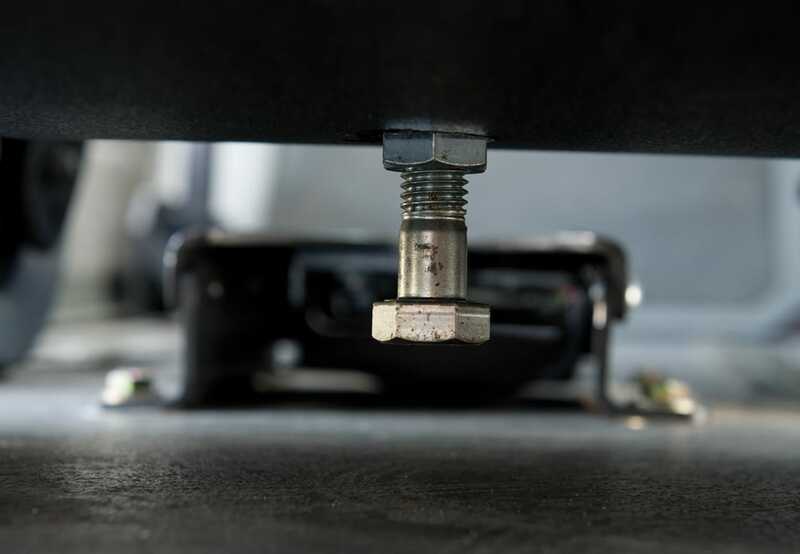 Improved engineering eliminates micro-switch failures found in other docking systems. 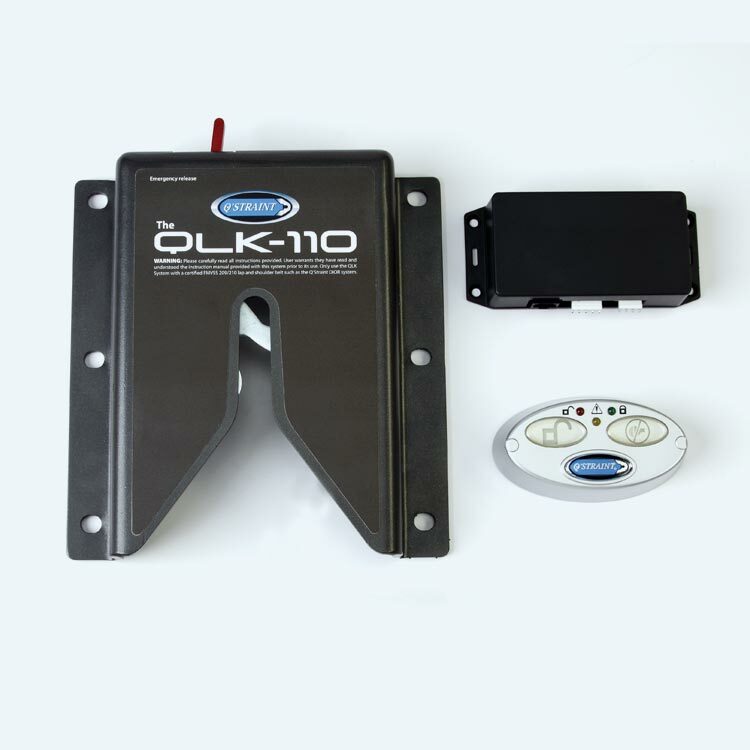 Ability to release docking station with standard dash control, manual release on base, or an optional Remote Manual Release (in event of power failure). 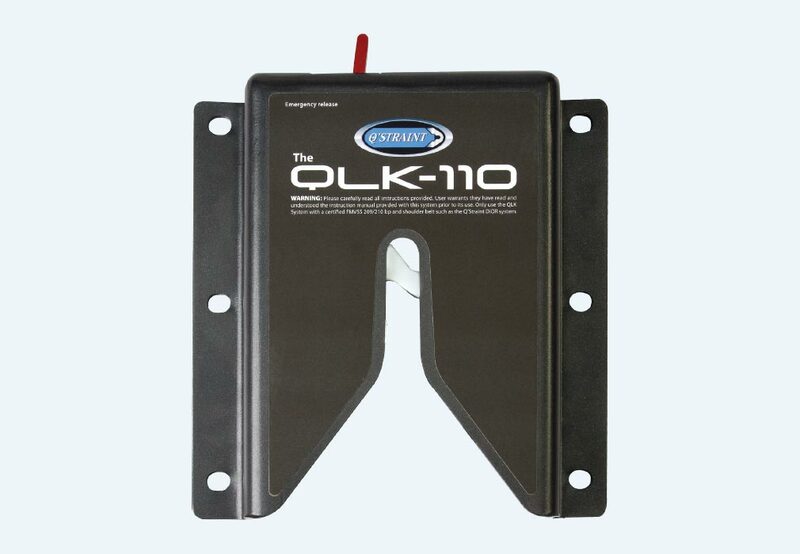 Specially designed spacers to prevent over-torquing of hardware and allows for easier maintenance. Docking station and control panel is designed to compliment vehicle interiors. Crash tested in forward and rearward facing directions to 30mph, 20gs.